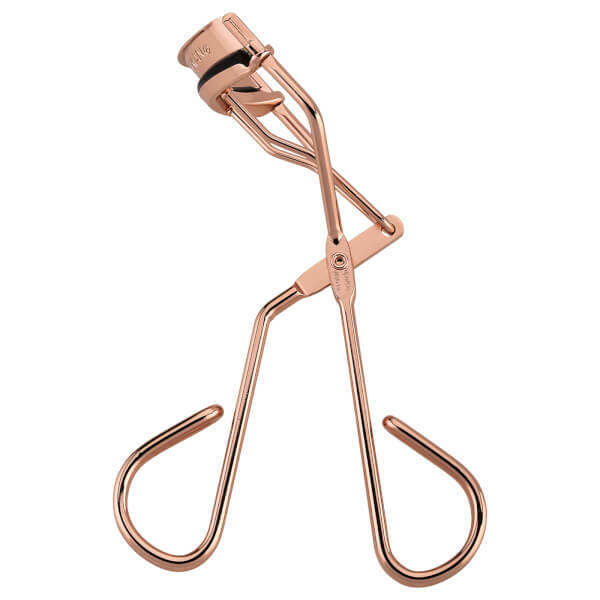 Expertly define and enhance your lashes with the Tweezerman ProCurl Lash Curler in rose gold. 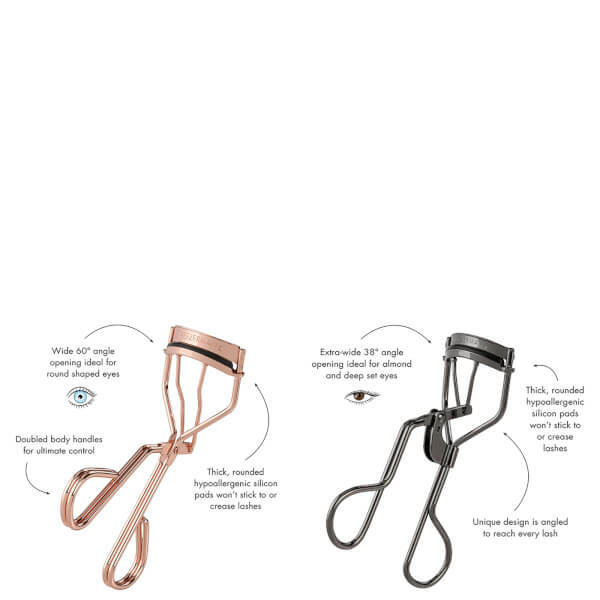 With an extra-wide opening and narrow top bar designed to comfortably fit most eye shapes, the innovative tool reaches every lash from the root and its hypoallergenic black pads prevent lashes from pinching and crimping. E.N. With eye opened wide and pad positioned at the base of lash-line, hold handles firmly and gently squeeze. Hold a few seconds, open curler completely and gently release lashes. Repeat, moving all the way up to lash tips to create a more dramatically sweeping curve.